I wanted to link you to a previous post where I reviewed feminine wipes. The two brands I tested impressed me with their natural ingredient policy but let me down on performance. 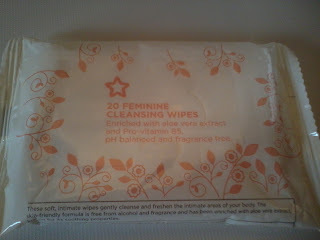 This lead me to discover Superdrug's own brand feminine wipes and I have been using them ever since. These Superdrug wipes are not 100% natural but they are free from parabens, alcohol, fragrance, suitable for vegetarians and vegans, biodegradable and Superdrug is against animal testing. I like everything about these wipes. They are a good size, super soft, have just the right amount of wetness and are neutral in fragrance. As long as you seal the packet correctly they do not dry out easily. The last packet I had was open for three months and the wipes were still usable. The convenience of being able to purchase these on the high street is a bonus as far as I am concerned. I do wish the ingredients were healthier as these wipes contain preservatives. I checked the EWG's cosmetic database and none of the ingredients appear to score badly, they rate between 1 and 3. Ingredients - Aqua, Propylene Glycol, Caprylyl/Capryl Glucoside, Panthenol (Pro-Vitamin B5), Aloe Barbadensis Leaf Juice (aloe vera), Tetrasodium Glutamate Diacetate, Citric Acid, Sodium Citrate, Phenoxyethanol, Dehydroacetic Acid, Benzoic Acid, Sodium Hydroxide. I am going to continue my search for a good natural wipe but until then I will stick with these. I can't remember how much they cost (lost the receipt doh!) but I am sure they are under £2 for a packet of 20 wipes. Anyone else tried these? What did you think? If you have a recommendation for a more natural brand, then I would be interested to hear about it. I do wish mainstream products would at least reduce some of their chemicals, even if it is just the parabens. Sounds like you have some options. 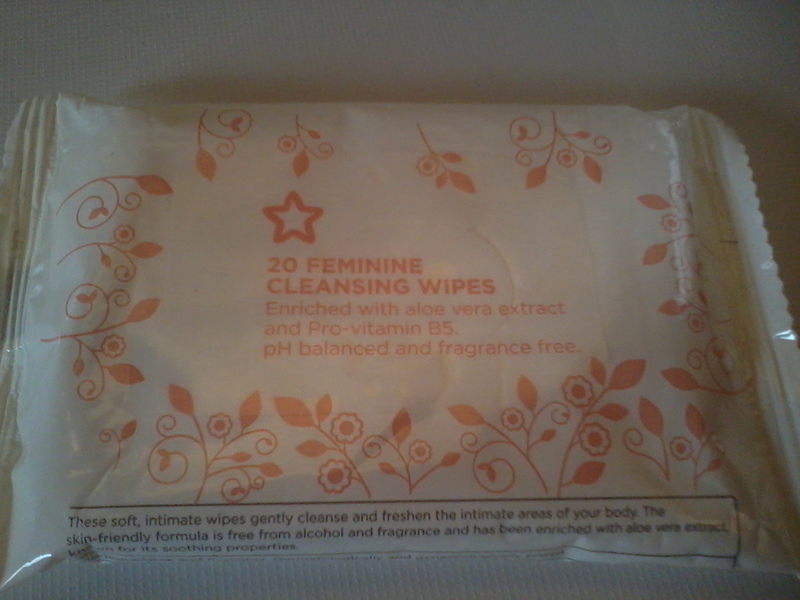 Never used these but I did use Tesco Vitamin E cleansing wipes for a while as they were so cheap (under 30p) plus paraben and alcohol free. They were handy for my face in the morning when I was running really late. That was until I realised there was so much other 'stuff' in them too, and they tended to dry out my skin. Would you consider baby wipes? Beaming Baby do certified organic wipes which I used for my baby, I used them on occasion too and would definitely recommend. They still have Phenoxyethanol, but everything else I've looked at has that in them too unfortunately.